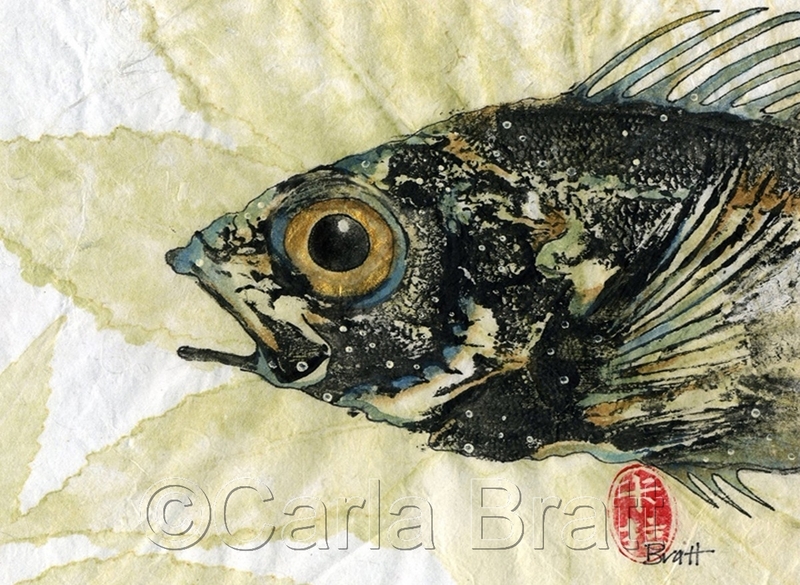 Contemporary, original, hand rubbed & colored print of a real fish on handmade paper. Cherry wood framed, double , archival matted, under glass. * Sold ** Matted giclee available, please contact artist for details.